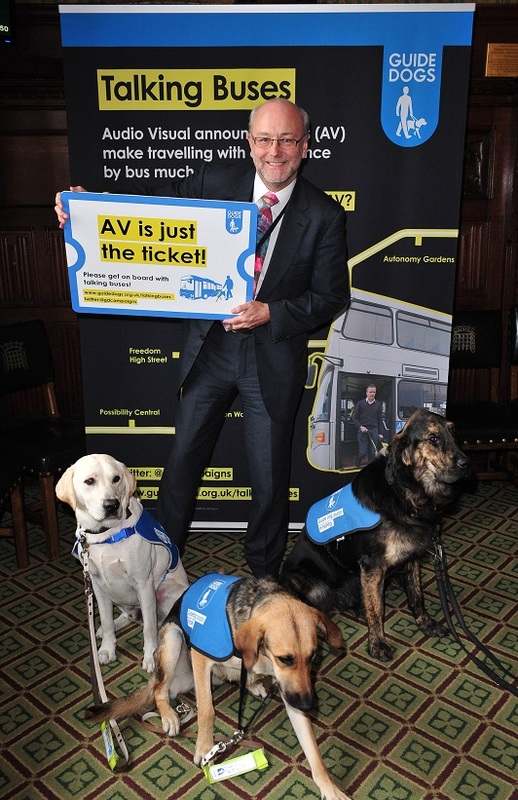 Alex Cunningham has pledged his support for a campaign led by the charity Guide Dogs to make travelling by bus easier for people with sight loss by making sure that all new buses have audio visual (AV) next stop announcements. The MP for Stockton North recently attended an event in the Houses of Parliament to highlight the importance of such announcements for blind and partially sighted travellers to understand their location and prevent them from missing their stops. By law, new trains must have AV information systems on board, making rail travel user-friendly for everyone. But the same law does not apply to buses, and AV systems are only fitted to around one-fifth of the bus fleet nationally with the overwhelming majority of these buses operating in London. “Buses, as with other forms of public transport, play a vital role in allowing those with visual impairments and other disabilities to achieve greater levels of independence. But the worry of not knowing whether they have caught the right bus, or being unable to tell where they are on their journey, can deter people from using the services which they rely on. James White, Guide Dog’s Campaigns Manager, said: “Buses are a lifeline for people who are blind or partially sighted, and we welcome Alex’s support for people with sight loss to be able to travel safely and independently.